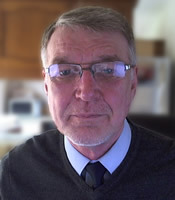 Welcome to the SENict web site of Ian Bean, a consultant and trainer specialising in the use of ICT and assistive technology to support the learning and communication needs of people of all ages with severe and complex additional needs. Ian provides a comprehensive range of ICT and assistive technology training to schools and other organisations involved in the education of children and young adults with severe and complex needs. Ian provides consultancy services to schools, organisations and companies who work with or provide products to people with severe and complex additional needs. Ian has delivered invited keynote presentations and seminars at major special needs / ICT conferences around the world. His thought provoking presentations challenge and delight audiences. Ian designs, writes and shares a huge range of free ICT resources and online teaching activities for young people who are learning to use assistive technology to interact with a computer or device. We have been busy updating over 250 of our accessible activities to add additional accessibility features including support for mouse click switch interfaces and better eye gaze handling. If you use our online activities you'll automatically get the latest version. If you have previously downloaded any of our activities, we strongly recommend that you download the new versions and replace your existing files. If you need help with anything, just let us know. Ian is a special needs teacher with over 20 years of experience working with children and young adults with severe and complex additional needs. Ian was the ICT teacher and curriculum coordinator at Priory Woods School in Middlesbrough before moving on to lead the Information and Training Team at Inclusive Technology where he trained thousands of education and therapy staff around the world. Ian now works independently and with organisations such as UNESCO to raise awareness and deliver training on assistive technology and ICT to support the communication and learning needs of people with SEND.